Want to dawdown your Friends Life Pension ? Are you a Friends Life customer who has been told that you cannot access your pension using the new pension freedoms ? If so, don’t panic, we may be able to help you. 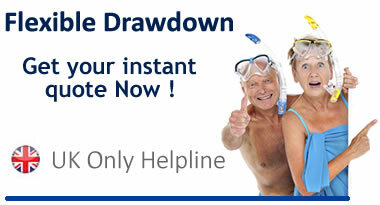 Click here to visit our site www.flexi-access-drawdown.uk or read on. While many people are now enjoying the pension freedoms that came into force in April 2015 there are some customers who are having some difficulty in accessing their pension fund how they wish. One such group appear to be customers of Friends Life who have reversed a decision to offer flexi-access drawdown due to the ‘complex nature’ of their pension book of business. The first is to take their entire pension fund in one go. For many this is not likely to be a realistic option and could potentially see customers pay huge amounts of unnecessary income tax to the treasury. While it is certainly possible to take you entire fund as a single payment, it really is unlikely to be a very sound financial decision for the vast majority of people with a pension fund. The second option is to take the 25% tax free lump sum and immediately use the remaining 75% of your fund to buy an annuity. Let’s repeat that – an annuity !!! Nothing wrong with annuities but wasn’t the Chancellor ‘clear’ the whole purpose of pension freedoms was that ‘No one ever needs to buy an annuity again’ ? Many people at age 55 just want to take their tax free cash to pay of a mortgage or other liability. If in order to do this they are forced to buy an annuity (a guaranteed income for life) some 10 years or more before they really need it, then they are going to get a much lower annuity rate and again pay unnecessary tax. The final choice is to transfer their pension fund to another provider. Our view is that of the three options available to Friends Life customers who want to access their pension fund, this is likely to be the better option. Our provider offers customers full flexibility within the new rules and enables customers to use their pension fund as they want. A customer can just take their tax free cash and keep the rest invested until they retire – at that point they could leave the product without penalty and buy an annuity if they wish. Alternatively they can take an income at a higher level than available from an annuity, or countless other options. In fact there are so many different ways a customer can use their pension it is impossible to list them all here. We work with our customers all the while they are with us helping them manage their fund and hopefully growing it – although growth cannot be guaranteed and pension funds can go down as well as up.